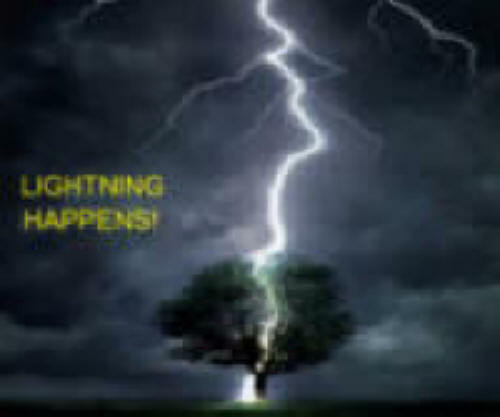 Sooner or later lightning will strike at or near your electric fence ... and when it does it will send an electrical charge directly through your fence wire to your charger ... and bingo ... your charger is history! That's where the Electric Fence Lightning Diverter comes into play! It stands between your fence wire and your charger and stops that surge BEFORE it hits your charger. While no Electric Fence Lightning Protection can guarantee to protect your charger 100% of the time these Lightning Diverters have a great track record for protecting your fence charger about 70% of the time. And at $19.95 that's a small price to pay to protect your investment in fence charging equipment to say nothing of the aggravation created when your fence charger is destroyed or disabled. 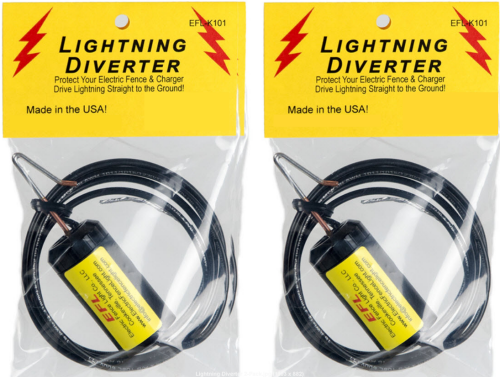 These Electric Fence Lightning Diverters come in 2 Packs. Hang one on your fence 100 feet from the charger and the other at least 100 feet from the 1st and attach both directly to ground ... Installation could not be easier! Most Lightning Protection is mounted at or very near the charger. When lightning strikes and is driven to ground it spreads out quickly and if it's near your charger it will follow your ground wire directly to your charger and BANG ... there goes another charger! 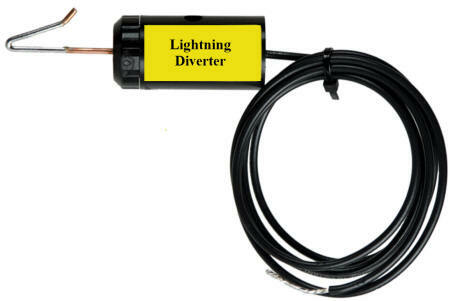 Our Lightning Diverter is the only one on the market designed to be placed 100 feet away from your charger. These Diverters just work! Give it a try ... you will not be disappointed!